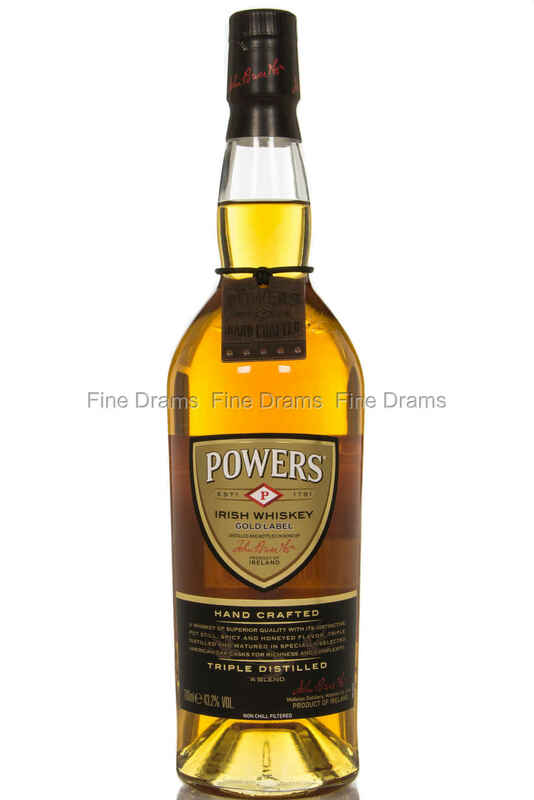 An extremely popular Irish whiskey, first launched in 1791 by a Mr. John Power and his son. Whilst this whiskey first started life as a single pot still release (like the current Power’s John Lane bottling), it is now a blend of grain and pot still whiskies. In the Irish tradition, this whiskey is triple distilled. Gold Label is aged for around 6 years in former Bourbon American oak barrels, giving it a vanilla-rich, oaky and sweet profile. The dram opens up with supple, sweet cereal flavours, before building to some good, grassy pot still character, citrus flavours and plenty of oaky spice. The whiskey now has a higher proof of 43.2% ABV, giving the palate a little more body and intensity. Incredible value for money, a fantastic Irish whiskey.